One day in 1997, a curious Londoner picked up a ringing pay phone on the underground. On the other end was a Toronto Star operator with a request: find a Canadian bureaucrat who would be stepping off the tube in the next few minutes. Equipped with a description of the man, the Londoner intercepted him. “There’s a call for you,” he said. The evening before, Linda Diebel, the Star’s Latin America correspondent, had made a call of her own. She needed to speak to the bureaucrat for a story on Guatemalan coffee workers, but she couldn’t get a hold of him. With a deadline looming, she phoned a group that, at the time, was the Star’s secret weapon: its switchboard. Active since at least 1911, the switchboard operators had become famous for finding people no one else could track down. This time was no exception; within a few hours, the team of sleuths figured out that Diebel’s source was in London and had tabulated when he was likely to exit the train. To the reporters at the Star, the switchboard seemed capable of working miracles. And its feats were all due to dedication of a team of eight women (and, in its later years, a couple of men). Most came to the job with a background working switchboards, but the ones who stuck around were those who had the grit to call up dozens of people in the hopes of finding a source and then were persuasive enough keep them on the line. They took the job seriously: lugging yellow pages back from vacations abroad, leaving their home-phone numbers with reporters in case they were needed in a pinch, and working with reporters to revive leads that seemed long dead. Still, when Cavan retired, in 1994, she said her most impressive contribution to the switchboard was hiring her successor, Linda Turner, who went on to usher the team through its greatest challenge yet: the rise of the internet and decline of print advertisement. By the time Turner retired, in late 2005, the switchboard’s future was in jeopardy; over the next few years, hours were slashed and the number of operators was reduced from eight to six. The switchboard was eventually cut, in 2010, leaving the newsroom without the group that it had worked in tandem with for decades. By then, the switchboard had become legendary within the newspaper industry. In 2002, the Star columnist George Gamester had quipped that if George W. Bush was serious about finding Osama bin Laden, he should put the task to the Star’s switchboard. “There were so many stories that wouldn’t have been told without their help,” says Bruce Campion-Smith, now the Ottawa bureau chief for the Star. “They were really the unsung heroes of the journalism the Star was doing.” Over the years, the operators connected calls to diplomats, prime ministers, and even an alleged KGB spy. Privy to the inner workings of most Star stories, they were a gold mine for reporters, especially those who had just been assigned a new beat. “Inevitably, you weren’t the first person to report on that story,” explains Campion-Smith. So you’d reach out to switchboard, and they could tell you who to speak with and help you suss out new angles. All you had to do was dial zero. To the dismay of politicians skirting the press, the switchboard was relentless. Allan Thompson’s career at the Star was filled with calls to vacationing politicians who were shocked Thompson had tracked them down. In 2000, Thompson needed to talk to Joe Clark about his next move after the leader of the newly formed, populist Canadian Alliance Party arranged a by-election. Thompson dialed zero and asked the switchboard operators what they could do. Eventually, they found Clark on a beach in Nantucket. When Thompson rang his cell phone, the first thing Clark demanded to know was how he’d got the number. “You could seem like an amazing reporter simply because the Star’s switchboard would help you get people,” says Thompson. He recalls the time he was told that then prime minister Jean Chrétien would not be flying with the press corps to Morocco. Chrétien, he was told, would meet them there. Thompson deduced Chrétien was taking a holiday somewhere in Morocco, but the prime minister’s office wouldn’t confirm. He called the switchboard operators and asked them to do what they could. “Five minutes later, they call me back and say, ‘Mr. Thompson, we have your party on the line, please hold.’” A moment later, Thompson could hear Chrétien’s distinctive tones over the phone. “The funny thing was he kind of pretended he wasn’t himself,” laughs Thompson. “Finally, I said, ‘Is that you, prime minister?’ and he said, ‘I’m sorry, he’s not available now’ and hung up the phone.” The story ran with a line about the prime minister’s private holiday in a Moroccan city. Sometimes, vacationing reporters got stung by the switchboard too. 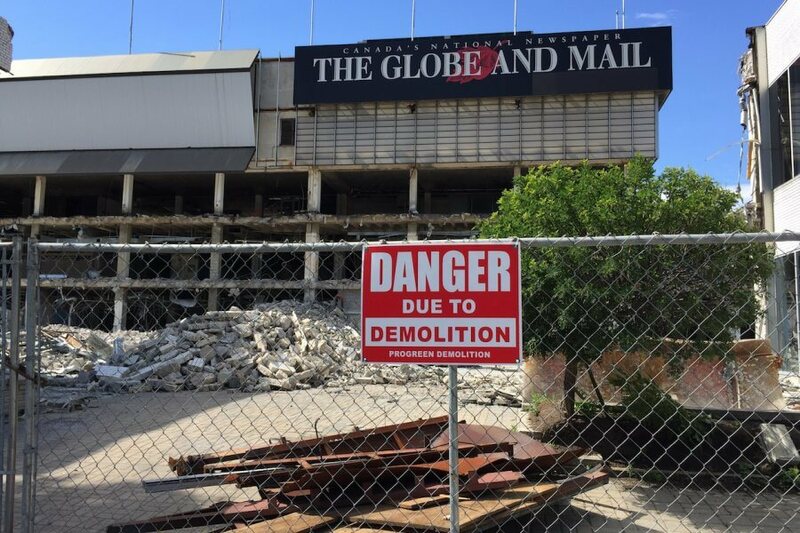 “The Star had this great thing of bugging you even on holidays,” chuckles Richard Brennan, a former Queen’s Park Star reporter. He remembers hearing one such story about reporter John Deverell. “He rented a cottage on an island in the middle of nowhere,” says Brennan. With the intention to take a break from the madness of reporting, Deverell chose a spot you had to reach by boat. Who could find him there? “He goes fishing, and he comes back, and there’s a spike in the door with a note attached to it—‘Call the Star,’” says Brennan. Evidently, the switchboard operators had charmed someone into doing their dirty work for them. Finding sources using scraps of information was a hallmark of the switchboard, but it was labour intensive, says Nick van Rijn, who worked as a writer and editor alongside the switchboard for decades. It took dedication to “put the detective unit of the Toronto Police Service to shame because they could come up with information faster,” he says. Especially in an era where people relied on phone books and reverse directories. It sometimes meant calling people up and having “90 percent of them say, ‘No, I can’t share that with you.’” But 10 percent of the time, it was a ‘yes, you can reach them here,’ and that thrill was what the switchboard thrived on. For all their heroic work filling the newspaper with sources, the operators were something of a mystery within the offices at the Star. Reporters might know them by voice but rarely meet them in person. Their office was based in a separate part of the Star’s offices at 1 Yonge, like a “predigital version of Google, hidden away in the Star somewhere,” according to van Rijn. If you were curious about the voice on the other end of the line, you’d have to go looking for them on the third floor of the tower. “You’d come out the blockhouse elevator, you turn to your right, there would be a door leading to nowhere. And you’d have to knock, and you peeked in the little window, and they would maybe let you in.” says van Rijn. If you were lucky enough to gain entry, you’d see that the walls were papered with huge lists of the most-used telephone numbers, with the names of the biggest fish—preeminent politicians and businesspeople of the day—Sharpied in for efficiency’s sake. That wasn’t true in 1998, when the team was headhunted by the new paper on the block, the National Post. Conrad Black offered a job to every switchboard operator who wanted one, recalls van Rijn, prompting Star publisher John Honderich to take the team out to dinner to emphasize just how much they meant to the Star’s newsroom. None of the switchboard operators left the Star for the Post, but within a couple of years, the newspaper world had drastically changed—boom time was gone, and the world of print had to reckon with drastic cuts. 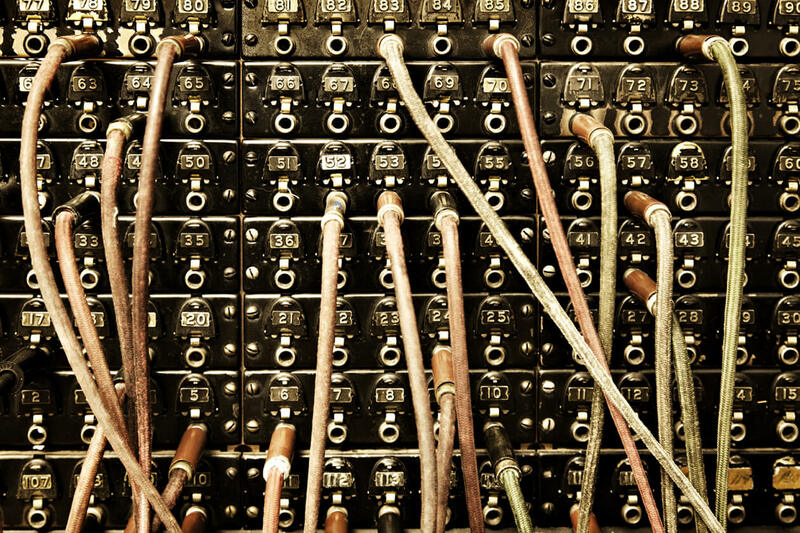 The switchboard’s status became a point of contention, and by 2010, downsizing was inevitable. The cramped office at the Star papered with names, numbers, and maps of cities was gone. “There was a train of thought that said that you were a talented reporter, you should be able to dig this information out yourself instead of relying on switchboard,” says van Rijn. After all, reporters now have the internet, the largest directory in human history— although not always the most efficient or accurate. There’s no longer much room in the world for analog databases like the switchboard hive, buzzing from 8:30 a.m. to 9 p.m. with phone calls and conversations, nor for the handwritten phone book that the switchboard amassed over the years. August 7, 2018: An earlier version of this story stated that, in 2000, reporter Allan Thompson needed to talk to Joe Clark about an upcoming by-election where Clark might face the leader of the Canadian Alliance Party. In fact, Clark would not have faced the leader of the Canadian Alliance Party because Clark was not running in that by-election. Instead, Thompson wanted to ask Clark whether he was planning to orchestrate another by-election so that he could also have the chance to enter the House of Commons. The Walrus regrets the error. August 23, 2018: An earlier version of this story stated that the Star‘s switchboard was comprised of eight women. In fact, the switchboard in its later years also included a couple of men. The Walrus regrets the error.